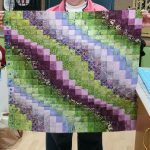 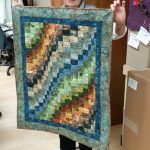 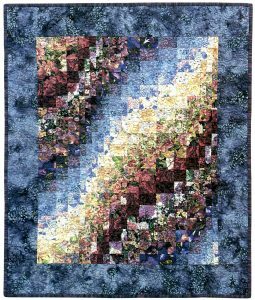 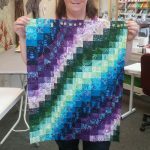 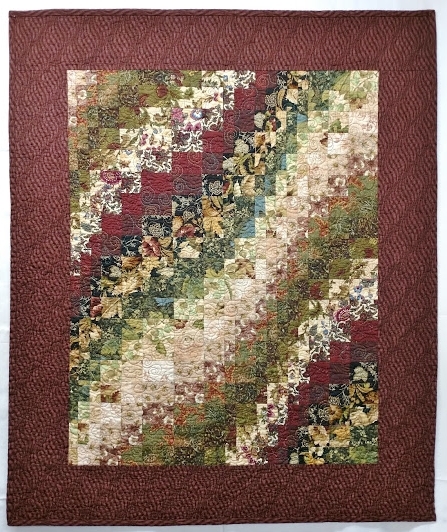 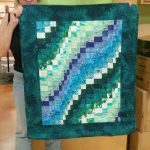 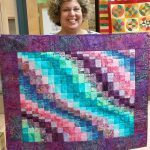 Cascade from Colorwash Bargello Quilts, made by Kathy Ploughman. 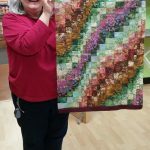 Note that Kathy prefers her quilt rotated – which is not uncommon! 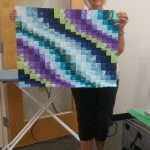 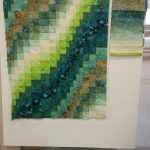 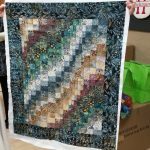 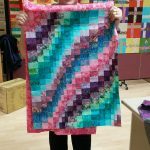 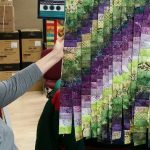 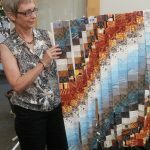 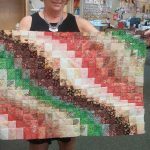 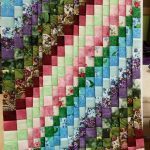 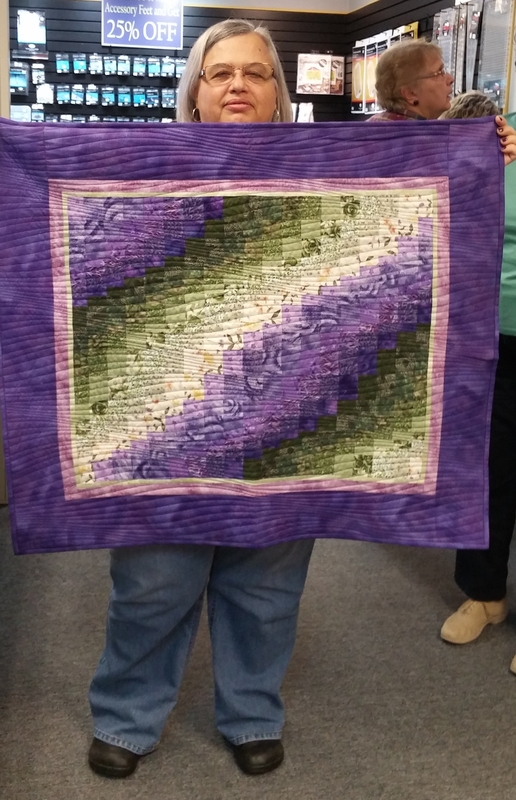 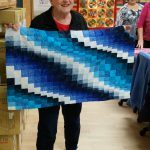 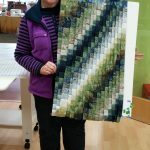 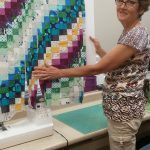 Here is a sampling of in-progress quilts from participants in my Colorwash Bargello – Cascade classes at Lakeshore Sewing. 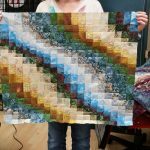 Click on photos to enlarge them. 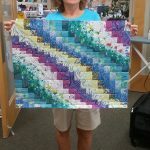 These instructions were so easy to follow Thank you. 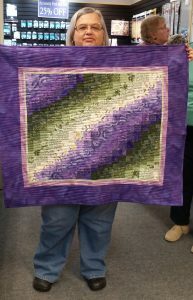 Picking the fabric wasn’t as easy and I didn’t like wwhat I ended up with. 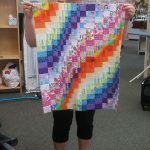 But hubby said he would be OK with it if I made it into a blanket for him.. 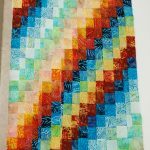 So I did and he will have Cascade Around the World. 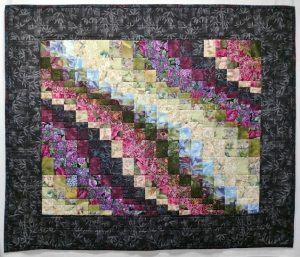 Which is brilliant as it uses up all the fat quarters with enough left for a border. Wonderful! 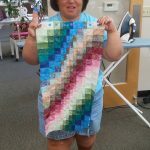 I’m glad you are finding the instructions useful, Dianne. 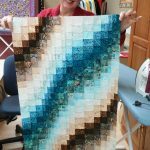 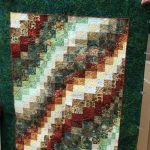 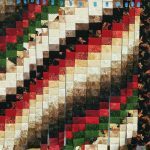 I’d love to see your finished quilt!